There are many different opinions on how to hold the hook,how to move them. Someone says: “Keep the hook as convenient for you and do not pay attention to the others!” I suggest you take advantage of my experience and keep the hook in the same way as I do! Why! I'll tell you a little story on this topic. Long time it was! ? I just learned to knit, but I was practically not taught this, they showed me how to start and then I looked at books, magazines, clippings, things already connected by my grandmother. That's when I took the hook in hand, and took the wrong! It was so convenient for me, but my hand quickly got tired, it started to hurt, my fingers acted. And, just a few years ago, I decided not to try and knit me as people knit! Took the hook, and how to start to knit. Unusually, she constantly took the old, already learned over the years, remembering again began to knit in a new way. In the end, retrained and knit as expected! 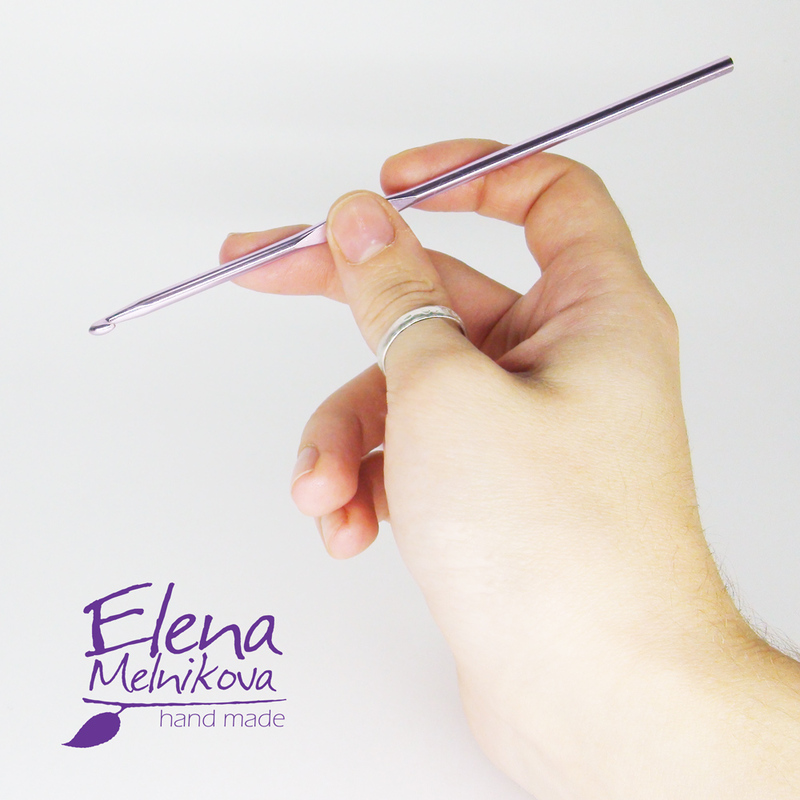 Knitting correctly, as it turned out, is much more convenient and easier, the hand does not get tired with such speed, and accordingly it is possible to knit longer, much longer! And now for your personal choice - how to take the hook in hand and how to knit But in my experience, retraining is not easy! Therefore, I still advise you to start correctly! ? So, if you are right handed, then hold the hook correctly: If you are left-handed, then, respectively, in a mirror image! By the way, some left-handers are fluent in their right hand! ? But since the hook is desirable not to keep !!! Someone calls this method as: possession of a knife. Agree - it seems! But, in my opinion, a crochet hook, and knives with knives. ? The choice of your personal method is completely yours! ? 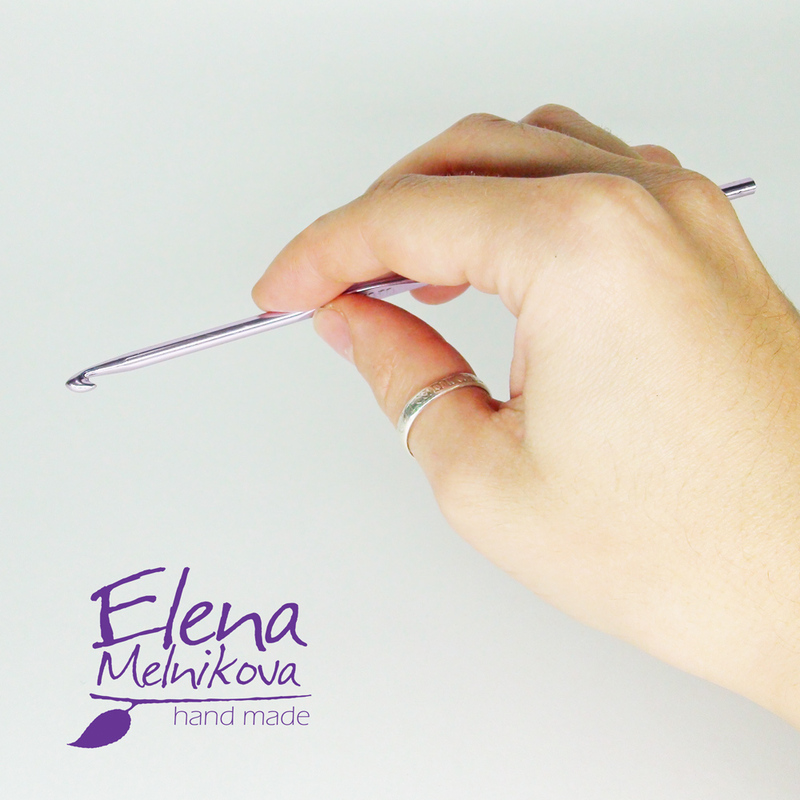 Having mastered the way to hold the hook, let's move on to how to use it! ))) Next lesson: “” Stay up to date! Be the first to learn about new lessons! Embroider drawings with beads correctly. How to do it for free. How to choose a hook Needles and a hook How to make a scarf-yoke using a hook and braid with your own hands? Knitting with a hook is not trivial, but there are many simple products that even those who first hooked into the hands can master.